I’ve been steadily training since May. I’ve run this race twice before. This time, however, the course had changed. Previously, runners started off at the Balsams’ golf course, then wound down to near the hotel and onto Rt 26 west to Colebrook. 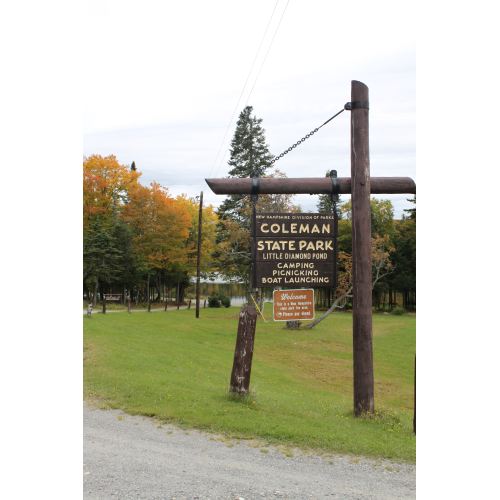 Because the Balsams is now closed, the new start was at Coleman State Park, an equally beautiful location. But Coleman State Park is at a significantly higher elevation, which meant a lot more downhill–and I find downhill to be tougher on my legs than uphill running. The running crowd gathered at the park, registered, chatted, and warmed ourselves by the huge fireplace. When we went outside to hear our race instructions, a light drizzly rain started. As we started on our way down the hill, I knew that my legs would pay the price, probably when I wake up tomorrow morning. At approximately mile 6 or so, the drizzle turned into a virtual downpour. But everyone kept going. During long distance running, it generally takes me awhile–usually until about mile 5–to find a comfortable pace. Once I found it today, I stuck to it and was like a machine. I’ve learned the hard way to avoid the temptation to jackrabbit ahead or sprint too much. At about mile 10.5, I faced a crisis. No emergency or physical injury, but just a bit of an emotional meltdown. It happens. I had the overwhelming desire/temptation to just stop and forget about the whole thing. It didn’t help that at precisely that time, several runners passed me, looking particularly perky and energetic. 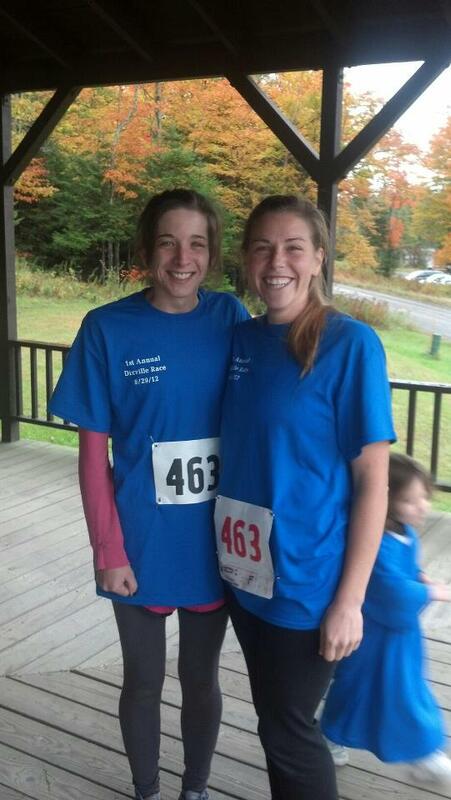 (I later realized they may well have been relay runners, who were only doing one quarter of the course.) I had less than 3 miles to go, but those few miles loomed ahead discouragingly as if they were 30. I somehow got through that–by focusing on steady breathing, lifting my chin and shoulders, and thinking about people waiting for me at the finish line. The last half mile was particularly excruciating, but I made it to the finish intact and on my feet. I had a brief moment in which my head swam and I thought I might pass out, but that didn’t happen. Teri Anderson, Rose Fitzgerald, their new puppy Belle, Susan McVetty and Ed Clark were waiting for me at the finish cheering. And I was very excited to learn that my time was better than anticipated: 2:05:40!! Then there was music, conversations, munchies, and a lovely hot shower at the Recreation Center. Finally, I won in my age group! The rest of the day is devoted to lying on the couch with my computer, a pile of books, a plate of pasta, and lots of fluids. I feel achy but accomplished!